Complete and sign application and mail to Bird Dog Training Area, SCDNR, P.O. Box 167, Columbia, SC 29202. Area is then inspected by SCDNR Law Enforcement Officer and applicant receives notice of approval/disapproval. Applicant forwards payment of $50.00 (made payable to SCDNR) for annual license fee after July 1 each year. The bird dog training area may not exceed fifty (50) acres for each licensee. Bird dog trainers shall maintain a clearly defined boundary on which signs must be posted every 150 feet or less designating the area as follows: "Private Bird Dog Training." Only licensed trainers and not more than two (2) assistants to be named on the license may train bird dogs during the closed season on the training area. 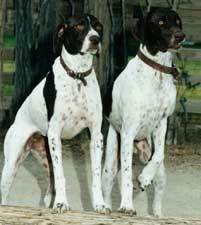 Trainers shall maintain records showing the number of birds purchased or raised, released for bird dog training and harvested as part of the training program. Other records shall be maintained as required by the Department and shall be open to inspection by an authorized agent of the Department or its designee at any time. Data reporting number of birds released and harvested must be furnished to the Department in an annual report before issuance of next year’s license. All birds released on training areas must be banded. Recall pens may be used if the trainer is issued a permit for the pens. Unbanded quail taken in recall pens must be released immediately. The training season is a consecutive twelve (12) month period beginning July 1 and ending the following June 30. Trainers and assistants must all have current, appropriate hunting licenses. The violation of any bird dog training statute is a misdemeanor, punishable by fine of not more than two hundred ($200.00) dollars or imprisonment of not more than thirty (30) days. A trainer or assistant found guilty of violating one or more of the bird dog training statutes must have his training privileges suspended for two (2) years from the date of conviction. No person, trainer or assistant may be listed on more than one bird dog training license.